Mr. Benesh’s baseball math modeling students are back from their research trip to the Baseball Hall of Fame in Cooperstown, NY! 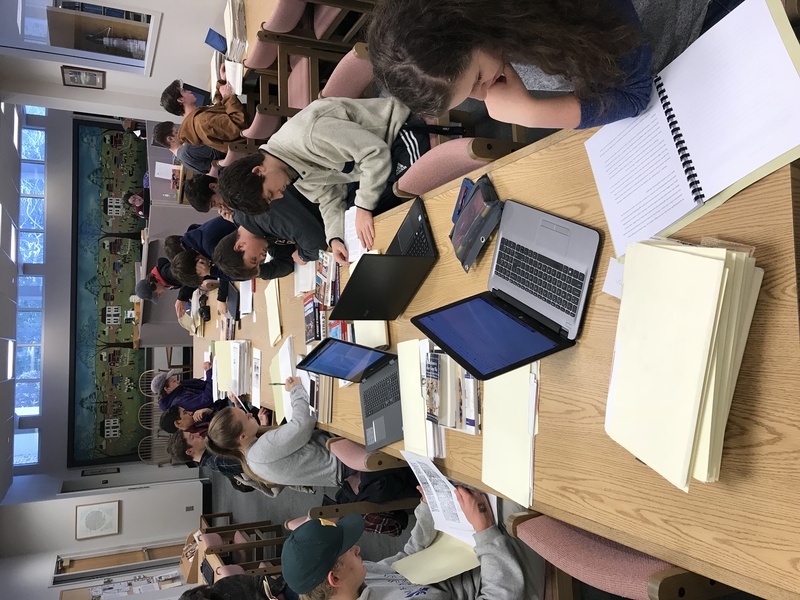 Students conducted research at the Giamatti Research Center, which is the foremost repository of baseball information, in all formats, in the world. They were working on their papers that will address an aspect of the impact of baseball on America. Mr. Benesh was also able to conduct research that he will be incorporating into his instruction later this year. The Foundation offset the cost of bus transportation for this trip via an enhancement grant and will do the same for the class trip to the SABR Analytics Conference in the spring. Contributions to the 2018-19 Annual Fund support all of our enhancement grants.